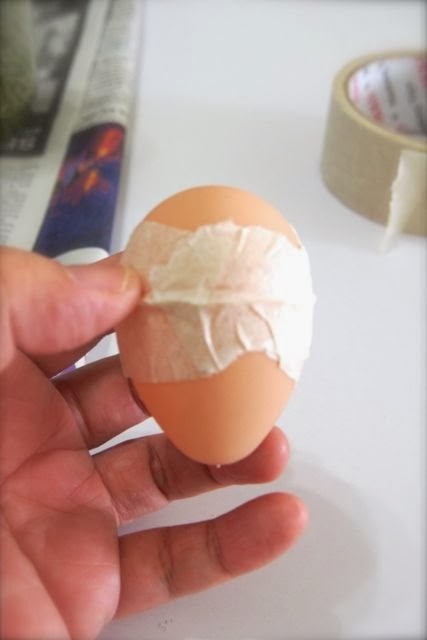 Welcome to Day 3 of Animal Crafts for Kids. Today we will learn how to make a Penguin Rattle. 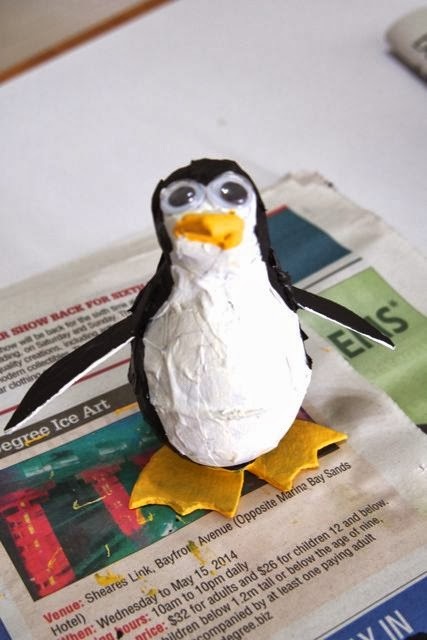 This is a great crafting activity to do in tandem with a lesson on penguins. Here is one you can use as a prelude to this crafting activity: THE PENGUIN SONG. Learn it and share it with the kids! Now we’re ready to make a Penguin Rattle. 1. 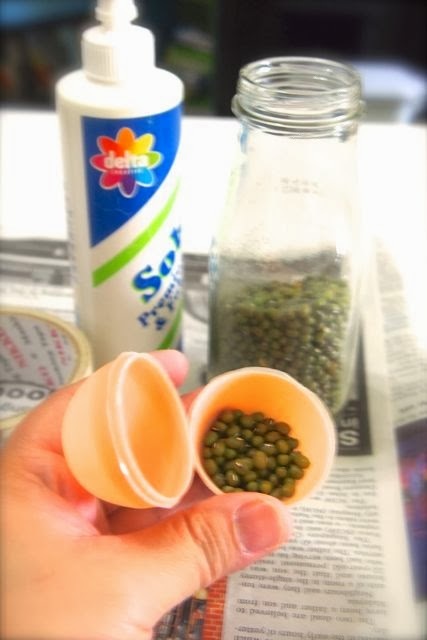 Fill the plastic egg with mung beans . 2. 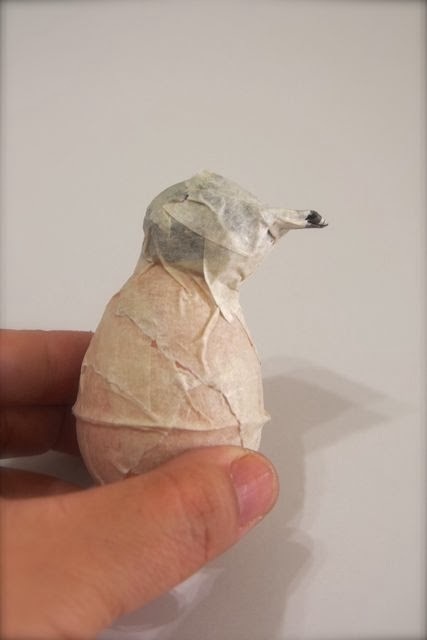 Seal egg with masking tape. 3. 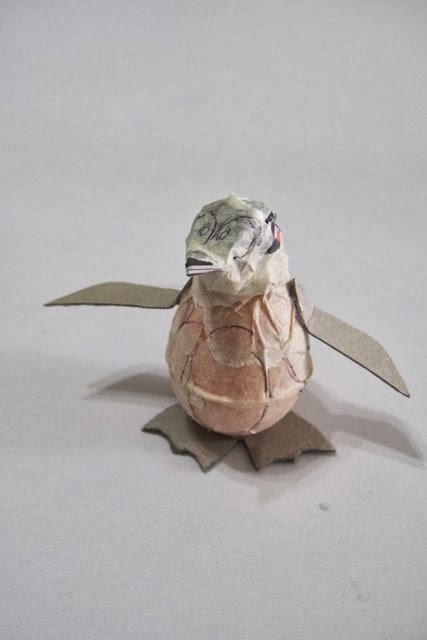 Shape a small ball out of newspaper, to make the head of the penguin. 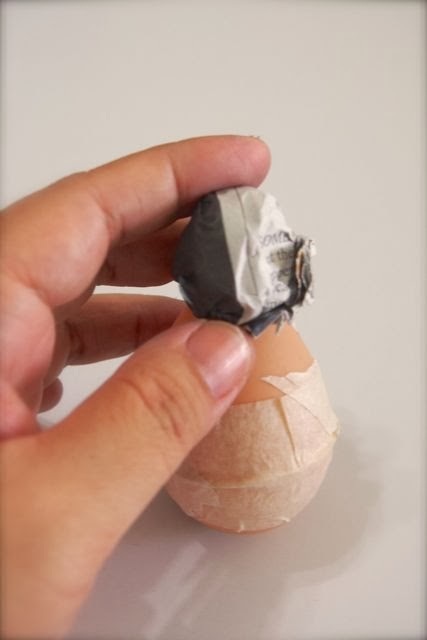 Attach to plastic egg using some masking tape. 4. 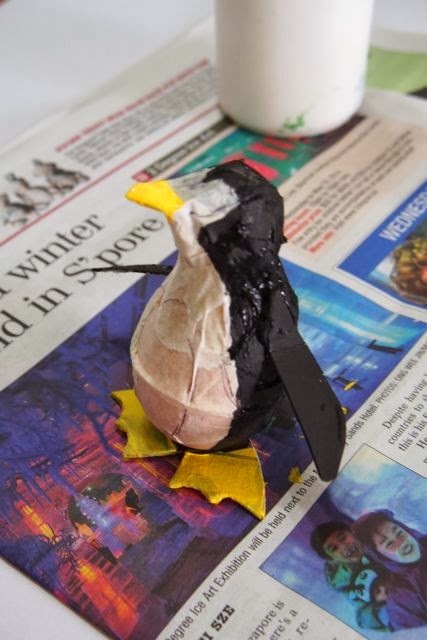 Shape a beak out of some folded newspaper and attach to the head of penguin. 5. 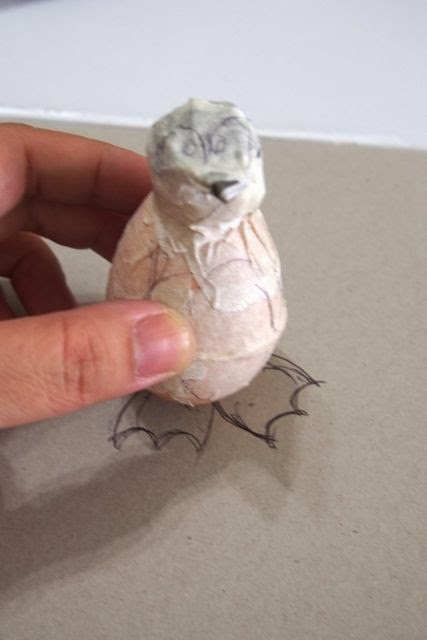 Using some heavy cardboard, shape the feet of the penguin. 6. 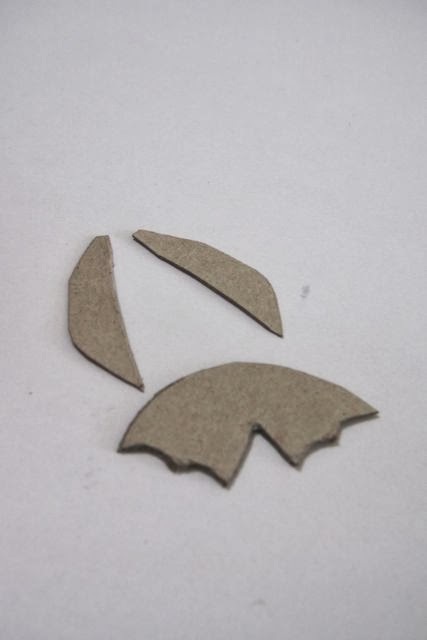 Cut cardboard feet, and also make the wings (flaps) of the penguin using the heavy cardboard. 7. 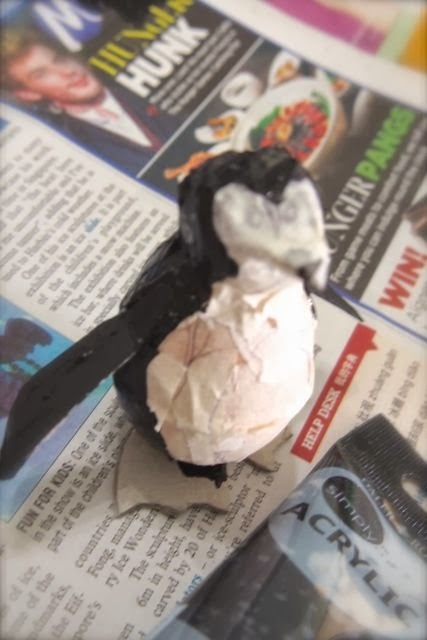 Attach wings and feet to penguin’s body using a glue gun. 8. Paint most of the penguin black and just the face, belly and under the wings will be white. 9. Paint beak and feet yellow. 10. 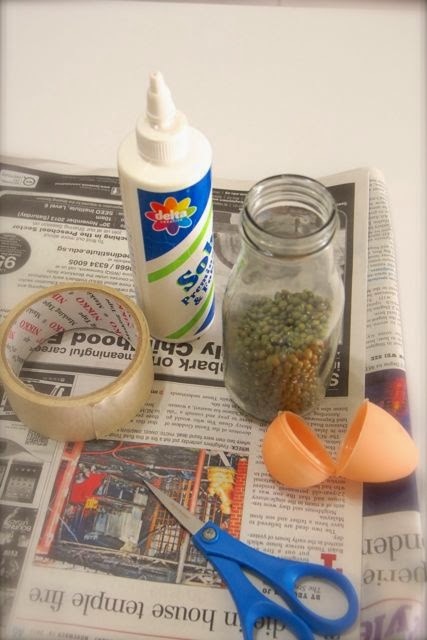 Attach googly eyes using craft glue or the glue gun. 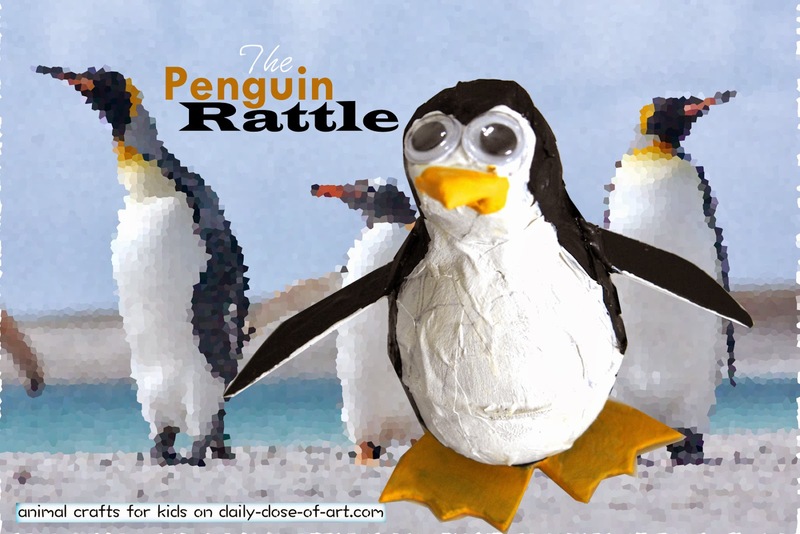 your very own homemade Penguin Rattle! 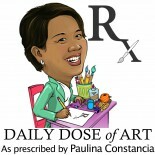 This entry was posted on November 28, 2013 by Paulina Constancia in Uncategorized.